• No over expensive laptops. • A large setback in computing. • We would all read in Binary. 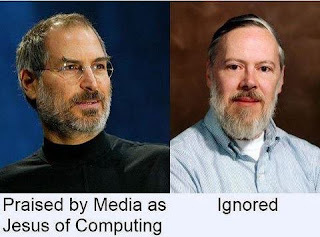 ✔ They died in the same year and the same month but it seems only few notice the death of Dennis Ritchie compared to Steve Jobs. ✔ It won't cost you anything to press the share button so spread, Both of these genius ... people should be knowing of both.